Ghent - 17 May 2018 - European Beet Growers held their 45th Congress in Ghent from 16th to 18th May 2018. They examined the main economic and political issues currently facing beet growing in Europe and the situation of the world sugar economy, with a special focus on the current market crisis. High level speakers, including Belgium’s Federal Minister for Independents and Agriculture Denis Ducarme, representatives of the European Commission and Secretary General of Copa-Cogeca Pekka Pesonen, participated in this event which gathered around 250 delegates and guests. “European Beet Growers are extremely worried, all their fears expressed at our previous congress in 2015 are materializing. The collapse in world market prices which reached a six-year low recently, undermined this first year without quotas when EU production has been liberalised. The EU average sugar market price dropped as well and is currently at its lowest level ever, well below the sugar reference threshold. This is of course impacting beet prices and beet income all over Europe. 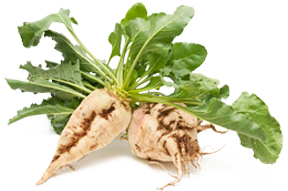 Beet growers will have to face their lowest income to date. This is also the consequence of a weakened position vis-à-vis beet processors. If you add to this the incomprehensible recent decision by the EU Commission to ban neonics in pelleted beet seed, without even a phasing-out, it is too much” emphasised newly elected CIBE President Eric Lainé. One session of the Congress was dedicated to new developments in the protection of beet and in new beet varieties. Innovation and precision farming in beet growing, harvesting and delivering were addressed. “Beet growers have always been at the forefront of innovation and good practices. But you need to be profitable to further invest in these developments. The situation of beet growers and arable farmers in general is very difficult now and in fact our previous investments are jeopardized” stated Eric Lainé. Discussions also focused on the perspective on world markets, on market transparency, on the contractual framework and value-sharing clauses between growers and processors as well as on consequences of increased campaign length and risk management tools. President Eric Lainé stressed: “On all these topics, the situation has fallen far short of expectations. We welcome the results of the Omnibus Regulation but the urgent need for EU legislators to strengthen the role of farmers along the supply chain and to make farmers more resilient should now be addressed; appropriate tools of which risk management tools, need to be put in place in our beet growing countries. With ever stricter standards and more opening up of the EU market, and increasingly less level playing field on the world market and ever lower ambition in the development of EU bioethanol, without protection of our revenue and risk management tools such a situation is not sustainable. We fear very negative and irreversible developments”. European beet growers called on the EU Institutions and the Member States to support concrete measures to manage and mitigate this strongly adverse context, to improve the position of beet growers and to improve the resilience of the sector, including: a prohibition of unfair trading practices, enhanced market transparency, implementation of risk management tools and introduction of financial support for research and development to maintain the highest level of sustainability in beet growing. The full CIBE Congress resolutions adopted by its Board of Directors and presented by the CIBE President in his closing speech of the Congress are available on www.cibe-europe.eu.